Customer satisfaction surveys are both good for you and your customers. You’ll strengthen your relationships with your customers and get to solve the pain points of your business with just a customer satisfaction survey. However, do you know how to prepare a solid one? Introduction is the most important aspect of your customer satisfaction survey. People don’t want to share their private info immediately so you have to clearly state that you care for the opinion of your customers and it won’t take long taking the survey. You may give an approximate time like “5 minutes to complete” or try and test the time yourself. Either way, creating a short and precise survey is the key factor for getting better results. The questions and options should not be confusing or too long. Questions should be in a logical order. General questions first, specific questions last. All options should either be in ascending or descending order. Some additional questions that are not required to be answered should be optional for the customers. Since your survey is told to be a short one, there is no reason to bore or trick your customers with long pages of questions. This option should be included because a customer may want to write his/her own thoughts about the service/product and give further comments. - Put a page break after each question or part. 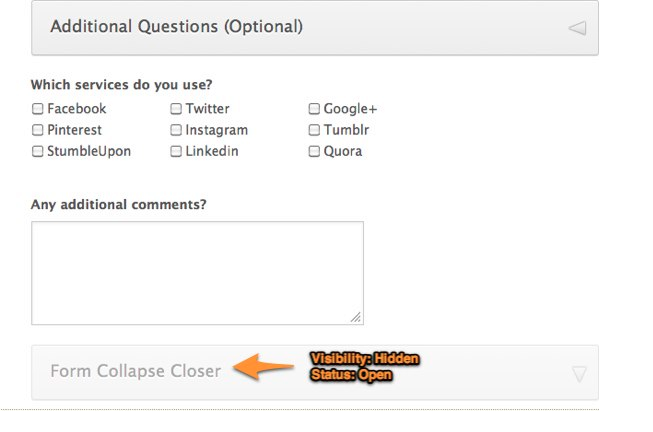 - Put a form collapse named “Additional Questions”. - Put desired amount of optional questions underneath the form collapse. Your customer satisfaction survey is ready for action! Please comment down for your ideas or suggestions. 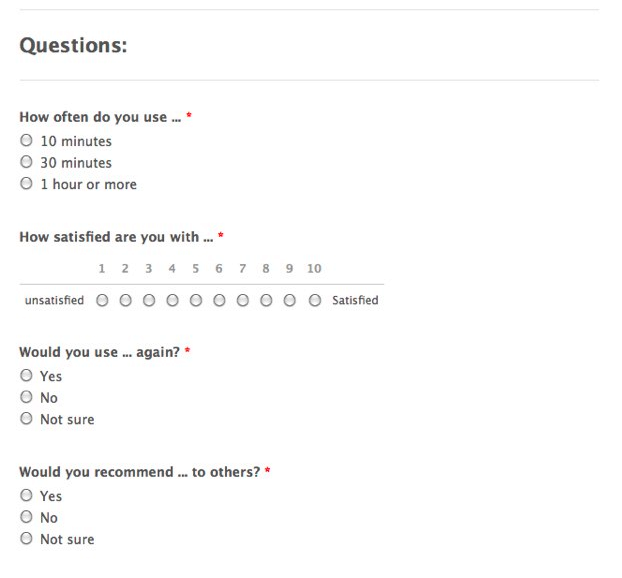 Here’s the sample customer satisfaction survey from our form templates gallery. You may clone it, modify it, and use it as you wish.